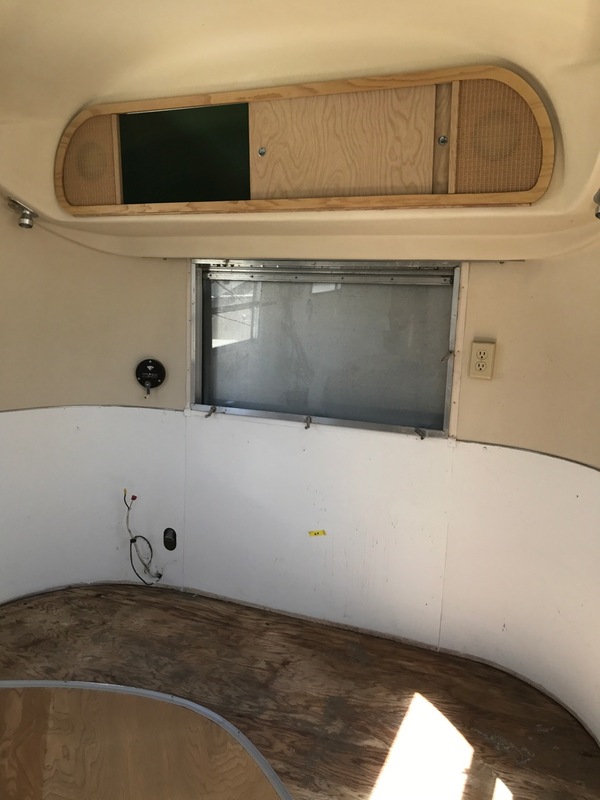 The owners of this Airstream designed the interior cabinets of their RV Trailer to look more modern than the original. 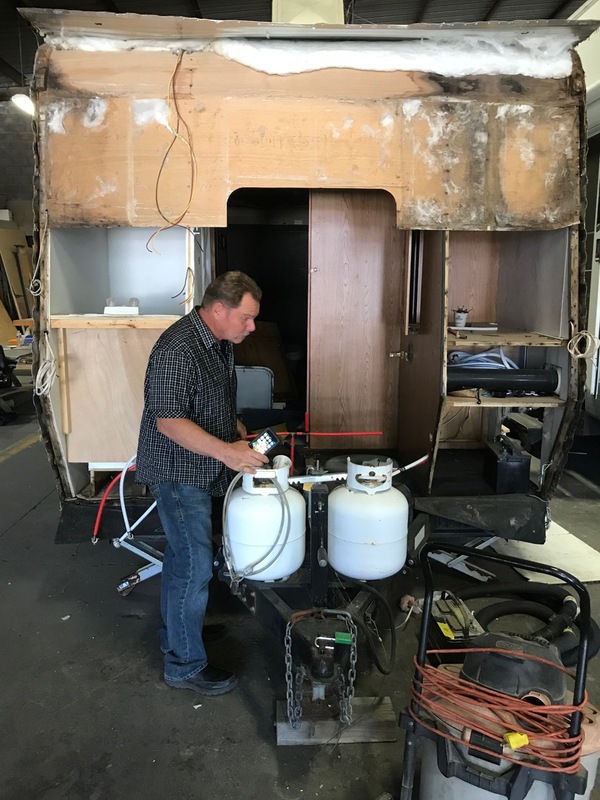 Almaden RV has prepped the Trailer and pulled it into the shop because the cabinets have been completed, received from the cabinet maker and are ready to install. Looking forward to how this job will look when the cabinets are hung and everything else is completed. 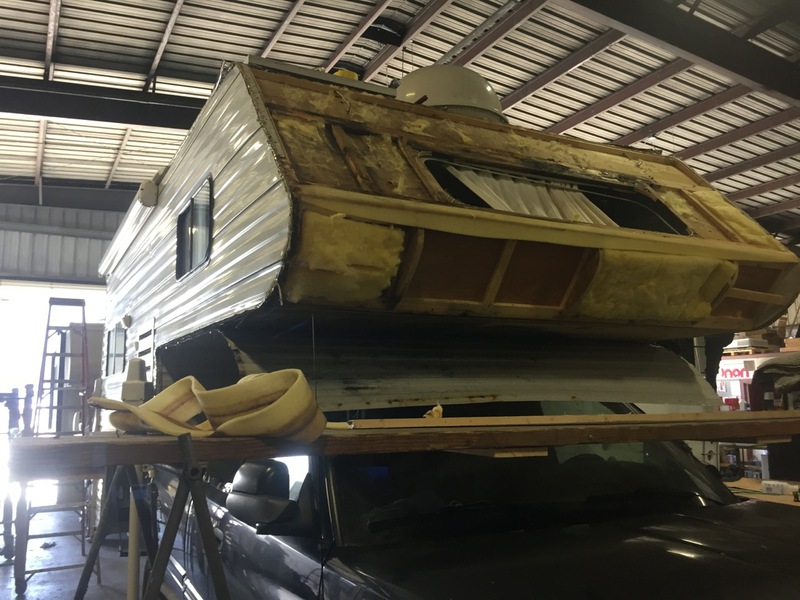 Here’s a beautiful restoration of a seriously rotted RV Trailer. The roof had been leaking for several years and totally rotted out just about everything underneath. The owner’s Insurance covered tearing out and replacing all rotted wood and some internal parts including Window, Insulation, all Trim, some Plumbing and Electrical. 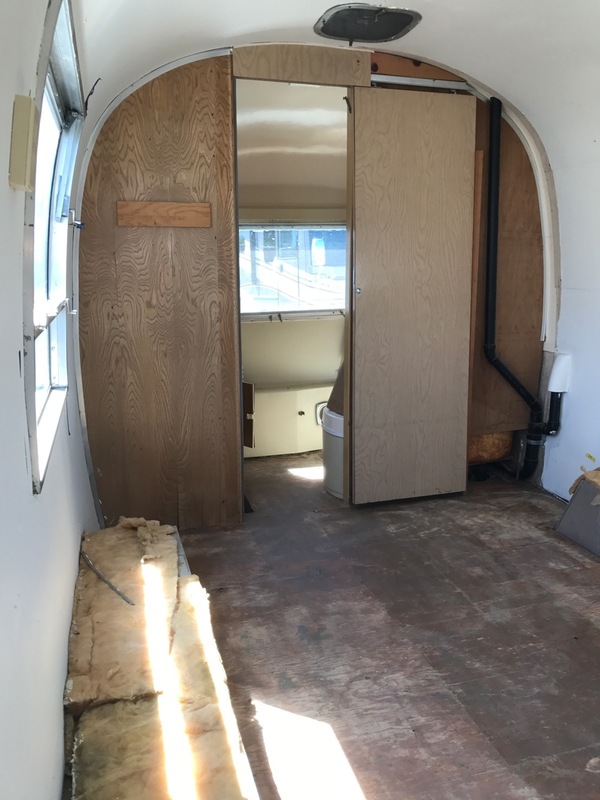 The Interior Paneling was saved and preserved for a longer life. The owner’s were truly surprised with how perfect everything looked, just like knew. 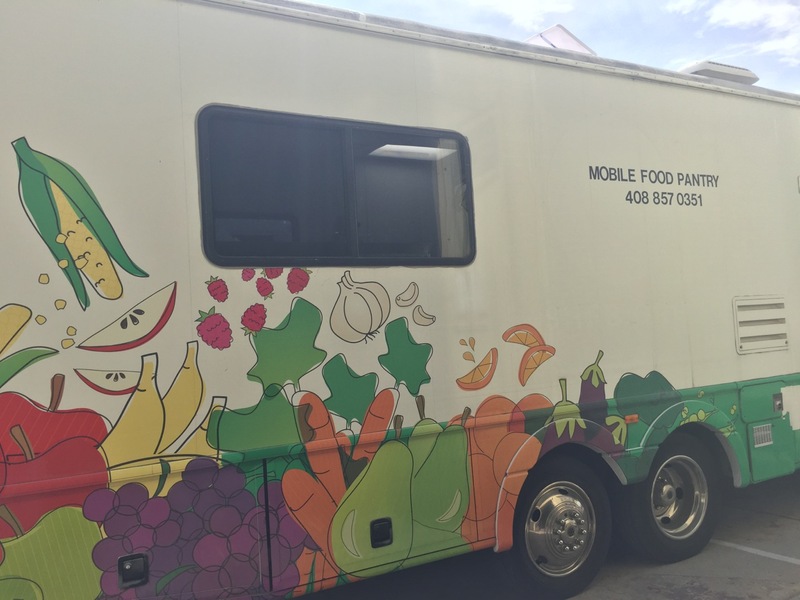 Here in San Jose are some big hearted people who make up a small network of social services and organizations sponsored by the city and individual donations. 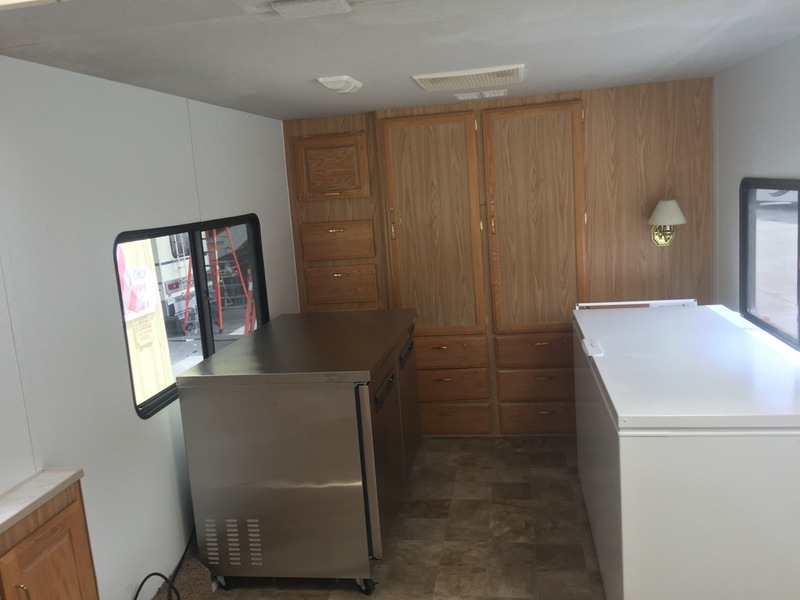 Projects like this often come to Almaden RV for anything from mechanical to body repair, and in this case an interior remodel and a few upgrades were needed. 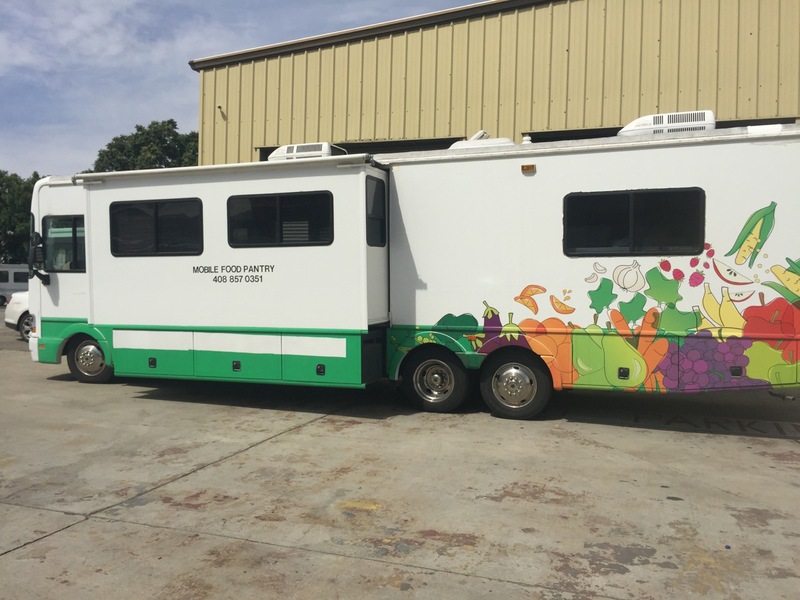 Chris Caprino, owner of Almaden RV always manages to make some kind of contribution to important needs like this Class A that helps to bring relief and a smile to folks who may be down on their luck. What a timely and beautifully completed job! 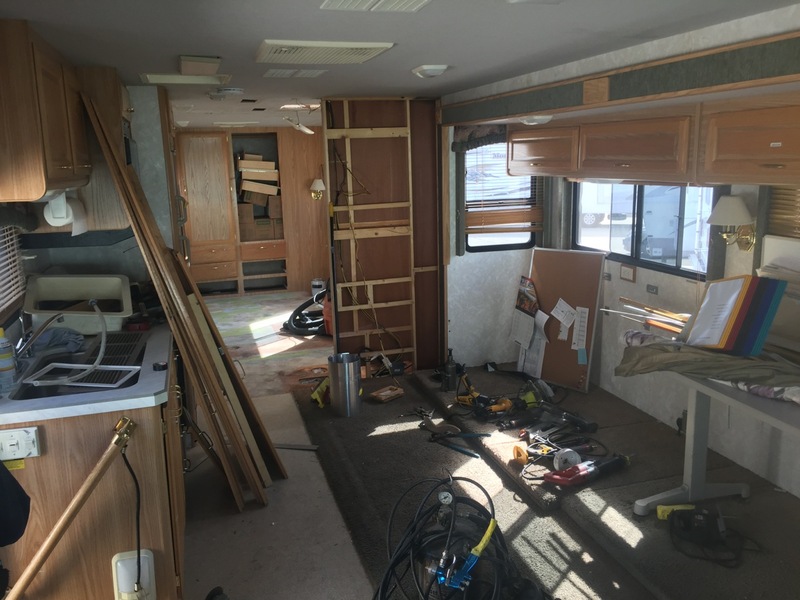 The front of this RV Trailer Repair is almost ready for it’s outer skin to be installed. It gets a newwindow, trim and sealer after that. The roof had been leaking for several years and totally rotted out just about everything underneath. Fortunately, all of the water damage was contained up front. 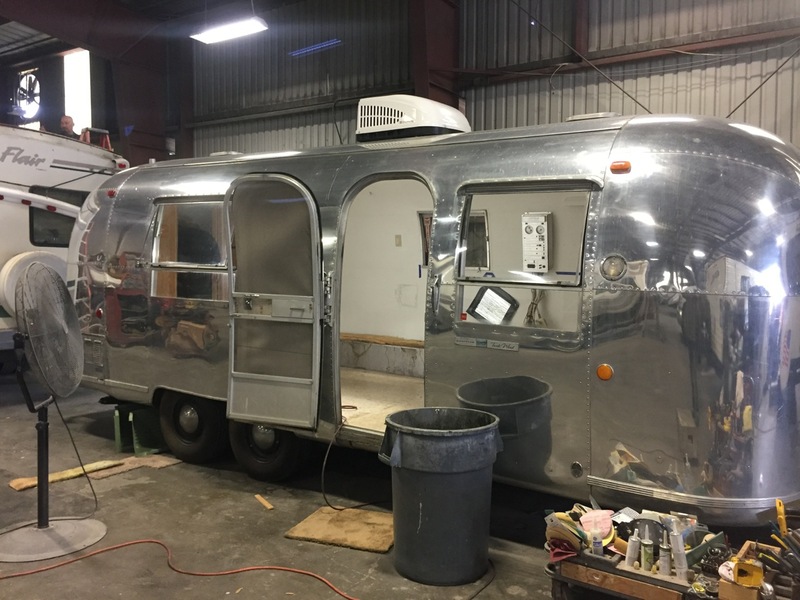 Almaden RV makes fast work of jobs like this. Especially working directly with the insurance companies who trust the the word of this shop and the quality work they do for every customer. 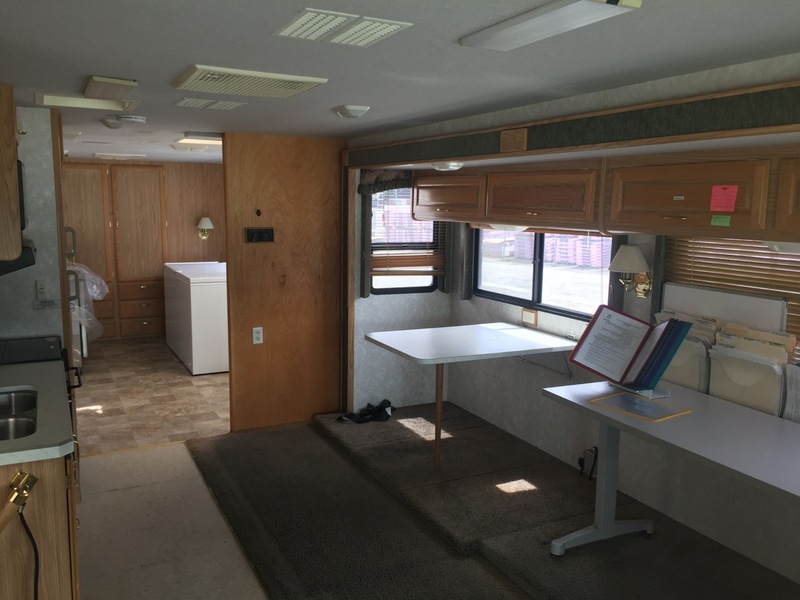 This is an older RV that is in excellent shape. 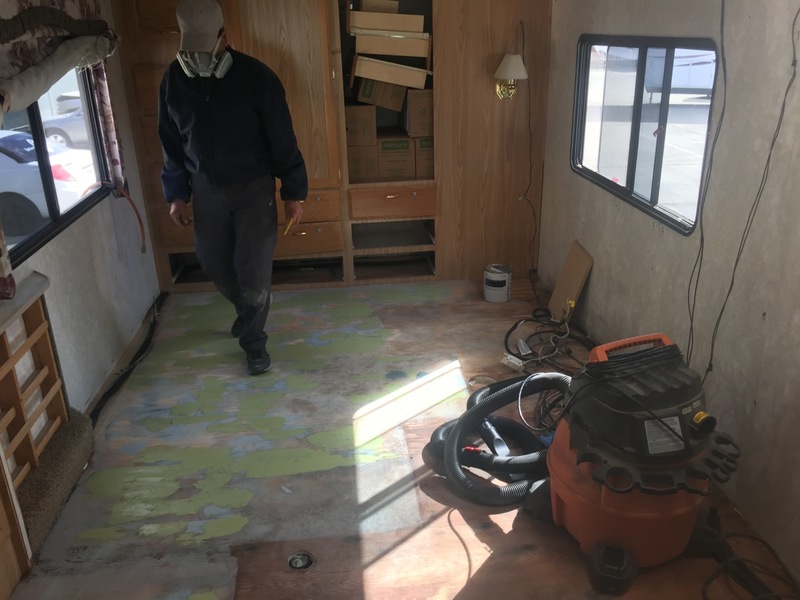 The owners heard that Almaden RV were experts and remodeling RVs. They showed their RV to Chris Caprino, owner/operator of Almaden RV, and asked him what he could do with the interior. 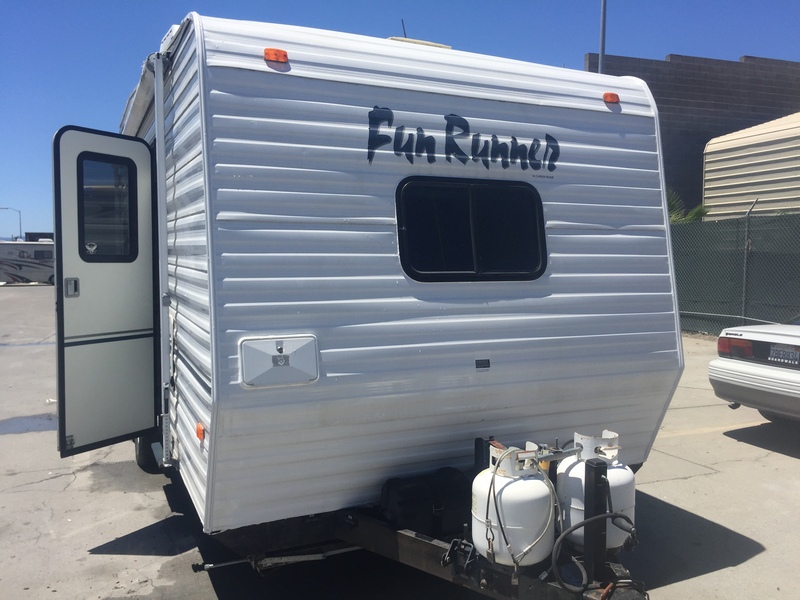 Chris said they could do just about anything you can think of and showed the RV owners some pictures of RV he’s remodeled in the recent past. 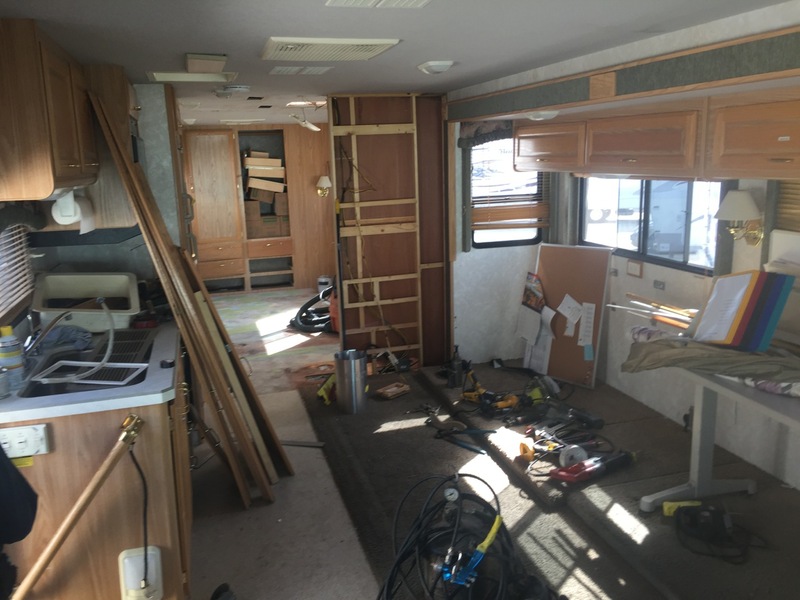 The RV owners were delighted and left their old RV for an interior redesign and overhaul. This is a beautiful new roof job almost completed for this nice Class A. Just some trimming, a little more caulking, a thorough quality check and it will be ready for the owner to take out on their next road trip. 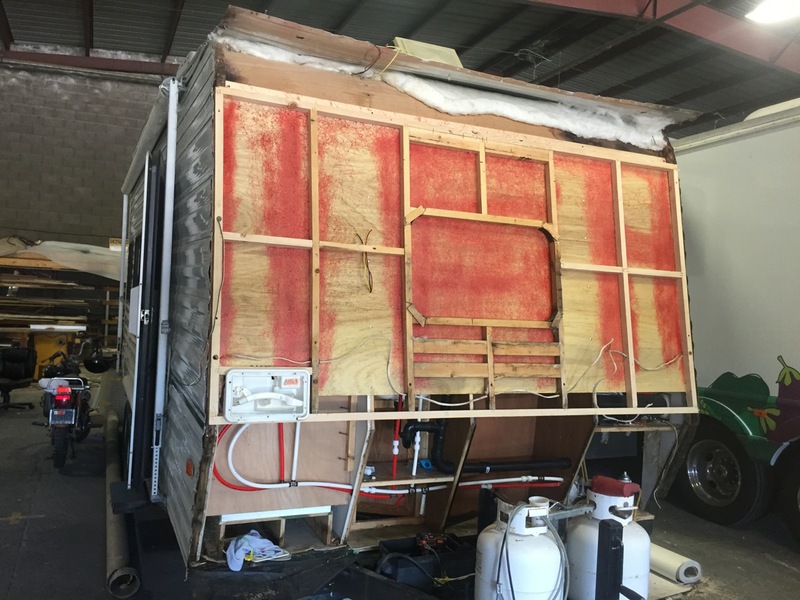 This Cabover RV received some heavy damage from a roof leak that went undetected for several seasons. 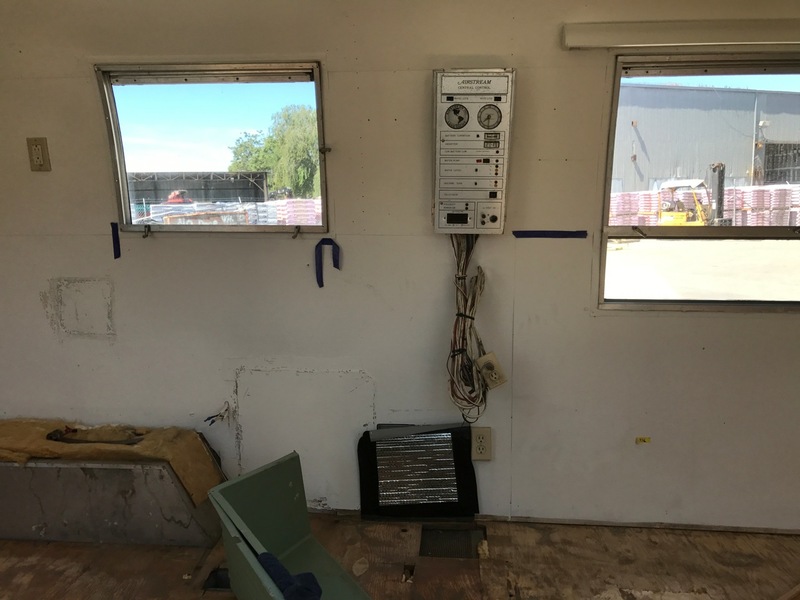 It will receive new studs, insulation, window, all electrical wires and lights. Then new exterior aluminum will be installed with all the weather trim and soon it will look like new. 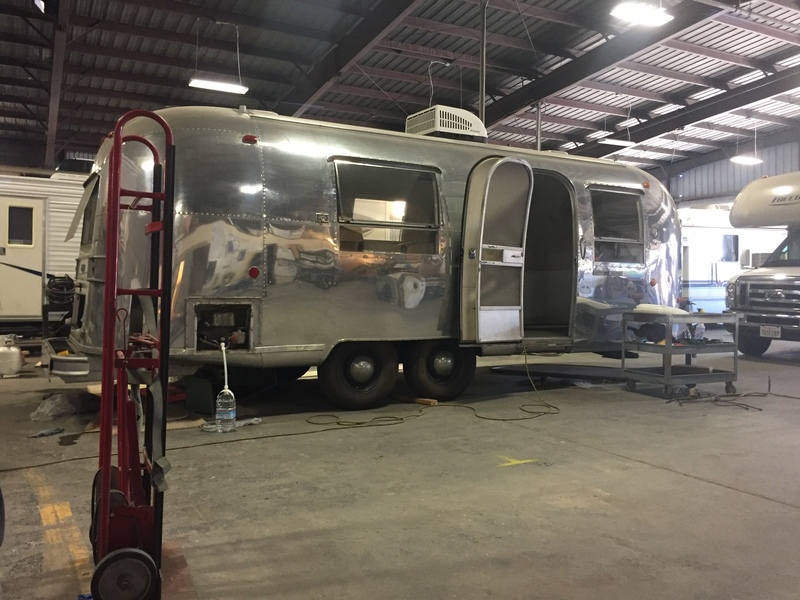 We’ve got the Airstream RV Trailer all ready to install the cabinets when the owner brings them in from their cabinet shop. They’ve been specially designed with a contemporary look that will match the rest of the interior. After installing the cabinets we’ll continue to refurbish the interior until everything is perfect. 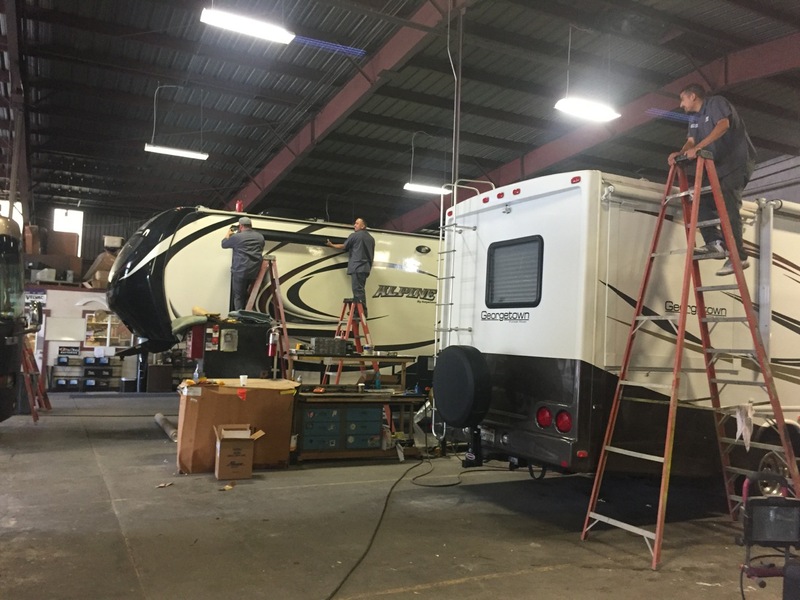 This is busy season at Almaden RV with RV’ers getting everything ready for their first trip since winter. 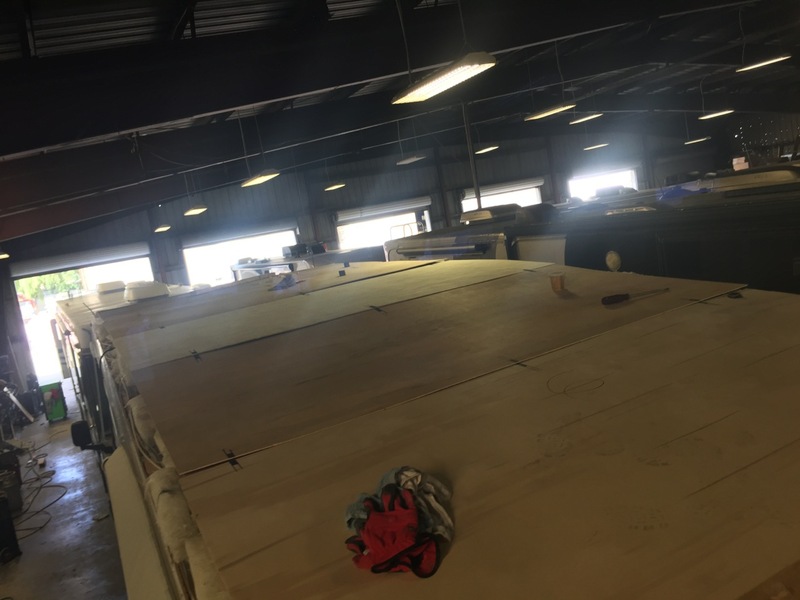 In the background are two technicians replacing a damaged awning on a 5th wheel and another technician is preparing a roof for new calking on a class C.
Roofs on all RV’s get some of the most intense damage and fast from the sun and weather. 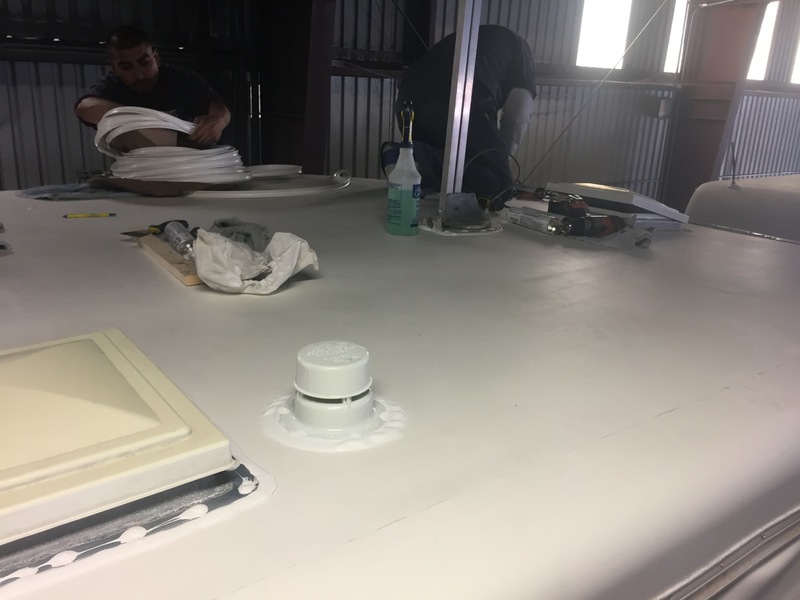 Expert and frequent inspections with proper maintenance can avoid hard to detect water leaks that can not only seriously damage the RV roof, but also ceilings, walls and floorings. 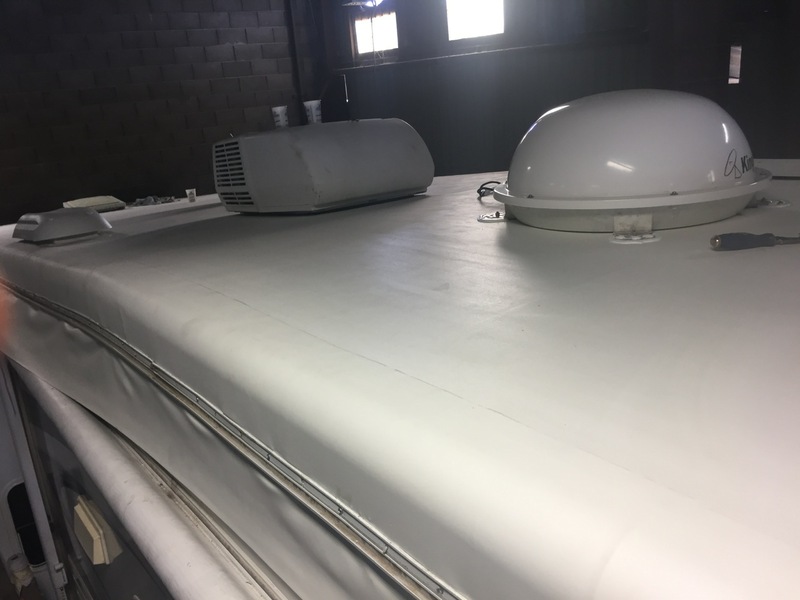 Replacing an RV roof is a big job that when completed correctly will bring many years of life back to the home on wheels.